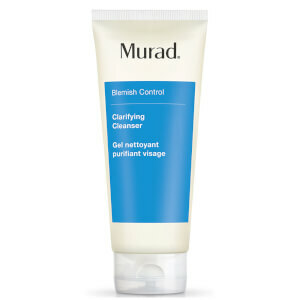 Clear your body with Murad Clarifying Body Spray. Purifying salicylic acid works with powerful antibacterial agents to penetrate pores and reduce acne blemishes while helping prevent new breakouts from forming. 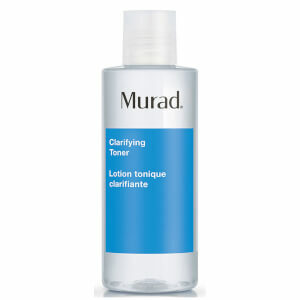 Murad Clarifying Body Spray uses skin conditioners to soothe and hydrate irritated skin for maximum clarity. Its 360 degree spray works upside down so hard to reach places can be got at! Because excessive drying of the skin may occur, start with one application daily, then gradually increase to two or three times daily if needed or as directed by a physician. Cover severely affected areas with a thin layer, applying three times a day if necessary. Use liberally, as required. Wow, I am on day 5 of this product and I have already seen dramatic change and my skin has cleared up so much! I have previously tried everything under the sun, Roaccutain, Anti-biotics, Vitamins, Diet change, you name it and they all end up coming back, so i'm interested to see whether this is a long term solution for keeping my skin clear. I highly recommend to everyone suffering with any form of body acne. The product seems to have a menthol in, which is great as it opens your pores to the treat the bacteria under the skin. After more than 15 years, this is the only thing that helped my bacne. You can see the improvement very quickly. I have been using it for a month now, I use quite a bit per application and I never got any irritation (but that's personal, I guess). I use it once, sometimes twice a day. I still get occasional pimples at the times my hormones are going crazy. Hopefully that will also reside in time (let's see). As for the price - yes, it's expensive. But you spend so much on masks, toners, mists, and other stuff which have no actual effect other than keeping you busy. So, I don't regret a cent for this. Wow! I have suffered for over a year with hormonal spots on my back. I bought this as a last resort and I am glad I did. My back has cleared drastically in a short space of time. I used every evening for around a week and am now using two-three times a week as prevention. I have suffered with acne on my chest on and off for years, particularly in the summer. I’ve tried antibiotics and various creams from the Doctor and this product is the only thing that has ever made a difference. After a week or so of spraying on morning and night my chest nearly completely cleared. I still use it every few days, especially after a shower after the gym and the acne hasn’t returned. Be careful though when using a lot as it can irritate the skin and cause itching if used too much. I've had problems with hormonal skin that breaks out since I was a teenager and this spray works wonders. I haven't found a product that prevents, clears and keeps those nasty spots away from my back and chest like this before. Not to mention the scarring..it's a fantastic product. All the Murad products I have used so far have been but this spray is something else. Try it - you won't regret it. I must say at the beginning i was very sceptical of its effectivness, but after a few days of using or should i say a week, week and a half, my acne got 70% cleared. At first i advise everyone to just use it once a day very sparingly only one spritz, or even every other day, because it is veeeeery strong, even if you might think it's doing nothing! I have really really sensitive, allergic and acne prome skin,so i got a bit of sensitivity and alergic reaction on my back at first. But once i waited for it to calm down and started using it just once every two days or once per day and moisturize that area it got better and it dried up any pimples i had and kept them at bay :)) I really recommend this product, just start slowly and sparingly with it! I love this spray and it really works! I have been using this for a month now and I can see a big improvement on my back. I normally get spots and nasty bumps on my back, but it has gone down a lot now. I only get a few little spots when I eat junk food. Will definitely buy this again and it has helped me a lot, but the price tag is quite expensive. This is the second bottle that I have bought and it is working wonders everyday. I have bad back acne and it was not curable by anything, even the stuff that doctors prescribe. However, I sprayed the spray daily on my skin and I could see that everywhere except the middle clears up. By the fourth month, when it's time for my wedding, my back acne was at its minimal. after coming off the pill my once perfect skin (even before i was on it) has turned very temperamental, I am getting alot of hormonal breakouts on my face and I have noticed on my back as well, along with a steady stream of smaller little spots. My olive skin scars very very easily, and it made no difference how often I cleansed my back or not. Within a few days all my tiny bumps and blemishes on my back had gone, and 3 weeks later they haven't returned. I use it once a day when i remember, in a month or two I am going to step it back to once every other day and see how it goes. I chose to buy the Murad spray as a last option (mainly due to the price) as my sudden spot invasion on my back was going to ruin my dress choice for a wedding. The acne seemed to have started out of nowhere and no matter whether I cleansed often, not often or moisturised or not made no difference whatsoever. I was completely and utterly covering in large boils that looked ugly. I started using the spray as soon as I received it and within 2 weeks my back is pretty much clear. I'm unbelievably happy with the results and won't be caught without the spray anytime soon. It's so quick and easy to apply, it really isn't a drain on your time. Can't recommend highly enough!